The lunch menu at Casa del Visitante restaurant at the Zuccardi Family Winery in the Maipú region of Mendoza, Argentina. 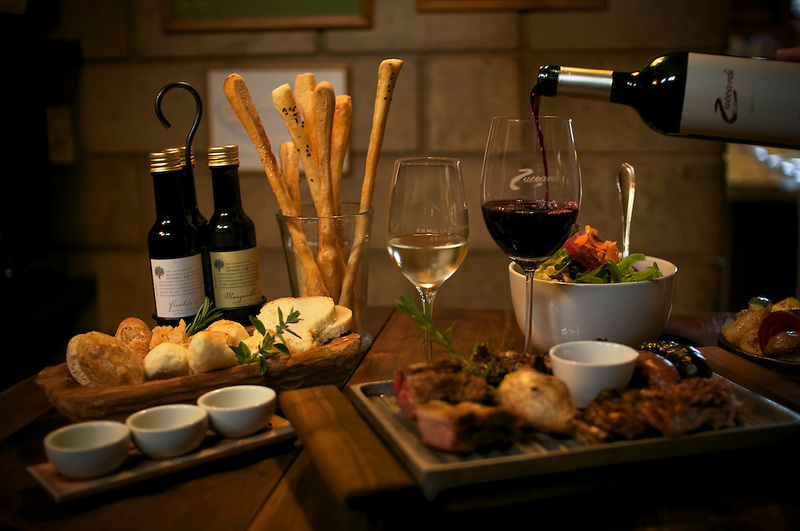 The five star restaurant serves a regional menu of traditional Argentine food, including barbecue, salads, grilled vegetables and an assortment of wines and olive oils produced at Family Zuccardi. Each course is accompanied by a separate wine specially selected to compliment the dish.